No trip to Australia is complete without seeing the animals. 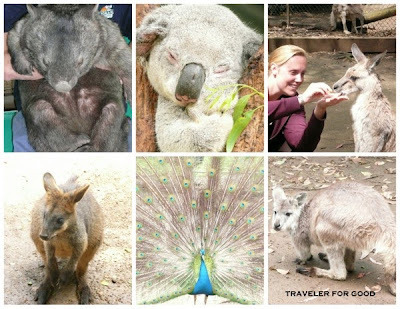 Kangaroos and Koalas have always been "exotic" here in the States. All these pictures were taken at Koala Park in Sydney, hence the closeups (and me feeding a kangaroo), but we did see 'roos hopping around in the wild when we went on a 4x4 trip into the Blue Ridge Mountains. What's the exotic animal that you most want to see in their natural habitat / home country?